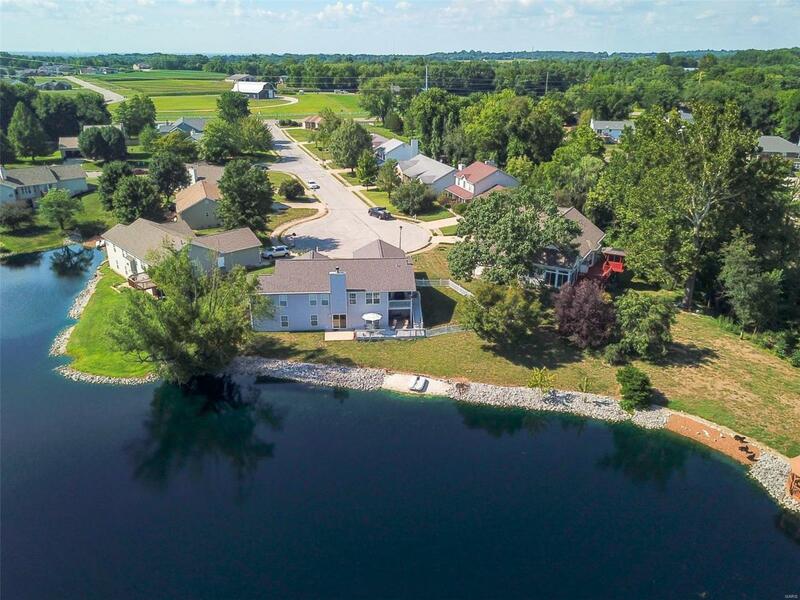 This beautiful ranch home on a lake is being offered for sale at a price that's hard to beat. You will immediately notice the open floor plan and vaulted ceilings. 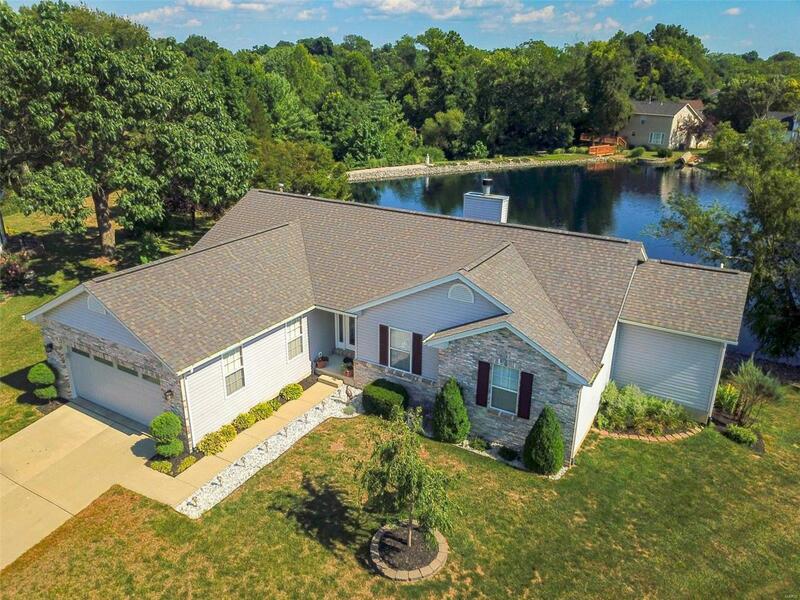 There are many upgrades throughout the home, for example: a newer roof, Pergo floors, new carpet, gas insert fireplace, garage door & opener, just to name a few. Even the kitchen appliances are newer and compliment the solid surface counter tops, resurfaced cabinets, and large walk-in pantry. The Master Suite is a great place to retire at the end of the day, with it's spacious bedroom, large bathroom with a dual vanity, separate whirlpool and shower, and a walk-in closet that's almost 11 feet long. The Family/Game Room in the Walk-Out Basement is HUGE and a great place to spend time with family & friends. 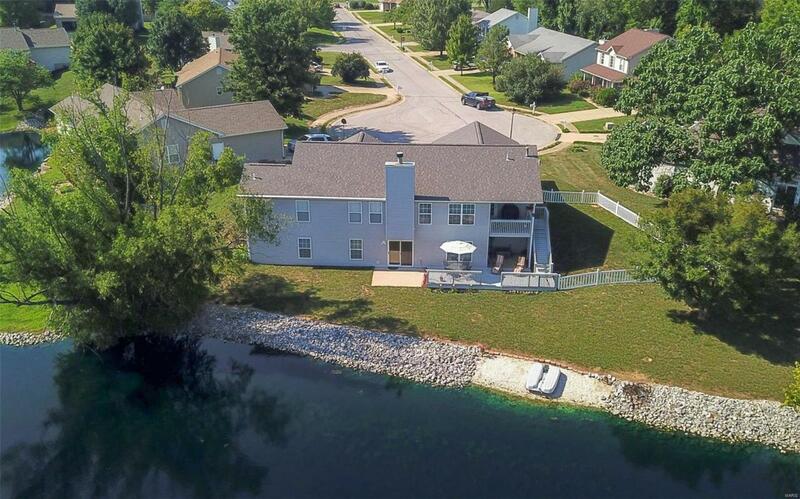 Enjoy the view of the lake from either the upper covered deck or the deck just outside the Walk-Out Basement. 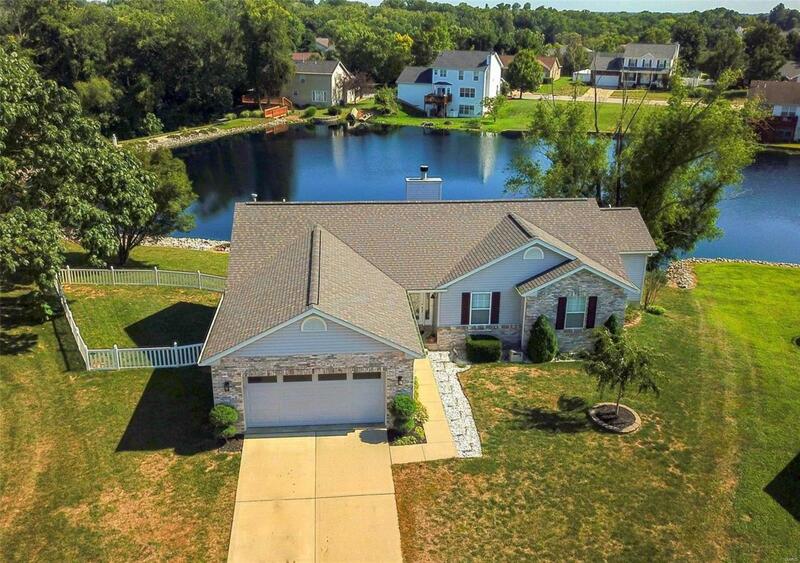 Don't wait to schedule a showing, as this house won't last long. 4- Person Paddle Boat included.